Chapter 18B - Regulation of Alcoholic Beverages. § 18B-100. Purpose of Chapter. § 18B-102. Manufacture, sale, etc., forbidden except as expressly authorized. § 18B-102.1. Direct shipments from out-of-state prohibited. § 18B-106. Alcoholic beverages for use on oceangoing ships. § 18B-107. Alcoholic beverages for use in air commerce. § 18B-108. Sales on trains. § 18B-109. Direct shipment of alcoholic beverages into State. § 18B-111. Nontaxpaid alcoholic beverages. § 18B-112. Tribal alcoholic beverage control. § 18B-113. Reserved for future codification purposes. § 18B-114. Reserved for future codification purposes. § 18B-115. Reserved for future codification purposes. § 18B-116. Reserved for future codification purposes. § 18B-117. Reserved for future codification purposes. § 18B-118. Reserved for future codification purposes. § 18B-119. Reserved for future codification purposes. Article 1A - Compensation for Injury Caused by Sales to Underage Persons. § 18B-121. Claim for relief created for sale to underage person. § 18B-122. Burden of proof and admissibility of evidence. § 18B-123. Limitation on damages. § 18B-124. Joint and several liability. § 18B-126. Statute of limitations. § 18B-127. Duty of clerk of superior court. § 18B-128. Common-law rights not abridged. § 18B-129. No liability for refusal to sell or for holding documents. §§ 18B-130 through 18B-199. Reserved for future codification purposes. Article 2 - State Administration. § 18B-200.  North Carolina Alcoholic Beverage Control Commission. § 18B-201. Conflict of interest; gifts. § 18B-202. Discharge upon conviction. § 18B-203. Powers and duties of the Commission. § 18B-205. Accounts and reports required. § 18B-206. Standards for alcoholic beverages. § 18B-208. ABC Commission bonds and funds. §§ 18B-209 through 18B-299. Reserved for future codification purposes. Article 3 - Sale, Possession, and Consumption. § 18B-300. Purchase, possession and consumption of malt beverages and unfortified wine. § 18B-301. Possession and consumption of fortified wine and spirituous liquor. § 18B-302. Sale to or purchase by underage persons. § 18B-302.1. Penalties for certain offenses related to underage persons. § 18B-302.2. Medical treatment; limited immunity. § 18B-303. Amounts of alcoholic beverages that may be purchased. § 18B-304. Sale and possession for sale. § 18B-305. Other prohibited sales. § 18B-306. Making wines and malt beverages for private use. § 18B-308. Sale and consumption at bingo games. § 18B-309. Alcoholic beverage sales in Urban Redevelopment Areas. §§ 18B-310 through 18B-399. Reserved for future codification purposes. § 18B-400. Amounts that may be transported. § 18B-401. Manner of transportation. § 18B-402. Alcoholic beverages purchased out-of-State. § 18B-403.1. Purchase-transportation permit for keg or kegs of malt beverages. § 18B-404. Additional provisions for purchase and transportation by mixed beverage permittees. § 18B-405. Transportation by permittee. §§ 18B-407 through 18B-499. Reserved for future codification purposes. Article 5 - Law Enforcement. § 18B-500. Alcohol law-enforcement agents. § 18B-501. Local ABC officers. § 18B-502. Inspection of licensed premises. § 18B-503. Disposition of seized alcoholic beverages. §§ 18B-506 through 18B-599. Reserved for future codification purposes. § 18B-600. Places eligible to hold alcoholic beverage elections. § 18B-602. Form of ballots. § 18B-603. Effect of alcoholic beverage elections on issuance of permits. § 18B-604. Timing and effect of subsequent elections. § 18B-605. Local act elections. §§ 18B-606 through 18B-699. Reserved for future codification purposes. Article 7 - Local ABC Boards. § 18B-700. Appointment and organization of local ABC boards. § 18B-701. Powers and duties of local ABC boards. § 18B-702. Financial operations of local boards. § 18B-703. Merger of local ABC operations. § 18B-704. Removal of local board members and employees. § 18B-705. Compliance with performance standards; remedies. § 18B-706. Ethics requirements for local boards. §§ 18B-707 through 18B-799. Reserved for future codification purposes. Article 8 - Operation of ABC Stores. § 18B-800. Sale of alcoholic beverages in ABC stores. § 18B-801. Location, opening, and closing of stores. § 18B-802. When stores operate. § 18B-804. Alcoholic beverage pricing. § 18B-805. Distribution of revenue. § 18B-806. Damaged alcoholic beverages. § 18B-808. Warning signs regarding dangers of alcohol consumption during pregnancy required; posting. §§ 18B-809 through 18B-899. Reserved for future codification purposes. Article 9 - Issuance of Permits. § 18B-900. Qualifications for permit. § 18B-901. Issuance of permits. § 18B-902. Application for permit; fees. § 18B-903. Duration of permit; renewal and transfer. § 18B-903.1. Reissuance of certain permits. § 18B-904. Miscellaneous provisions concerning permits. § 18B-906. Applicability of Administrative Procedure Act. §§ 18B-907 through 18B-999. Reserved for future codification purposes. Article 10 - Retail Activity. § 18B-1000. Definitions concerning establishments. § 18B-1001. Kinds of ABC permits; places eligible. § 18B-1001.1. Authorization of wine shipper permit. § 18B-1001.2. Additional wine shipping requirements. § 18B-1001.3. Authorization of wine shipper packager permit. § 18B-1002. Special one-time permits. § 18B-1002.1. Special auction permit. § 18B-1003. Responsibilities of permittee. § 18B-1004. Hours for sale and consumption. § 18B-1005. Conduct on licensed premises. § 18B-1005.1. Sexually explicit conduct on licensed premises. § 18B-1006. Miscellaneous provisions on permits. § 18B-1006.1. Additional requirement for certain permittees to recycle beverage containers. § 18B-1007. Additional requirements for mixed beverages permittees. § 18B-1008. Rules concerning retail permits. §§ 18B-1010 through 18B-1099. Reserved for future codification purposes. Article 11 - Commercial Activity. § 18B-1101. Authorization of unfortified winery permit. § 18B-1102. Authorization of fortified winery permit. § 18B-1103. Authorization of limited winery permit. § 18B-1104. Authorization of brewery permit. § 18B-1105. Authorization of distillery permit. § 18B-1105.1. Authorization of liquor importer/bottler permit. § 18B-1106. Authorization of wine importer permit. § 18B-1107. Authorization of wine wholesaler permit. § 18B-1108. Authorization of malt beverages importer permit. § 18B-1109. Authorization of malt beverages wholesaler permit. § 18B-1110. Authorization of bottler permit. § 18B-1111. Authorization of salesman permit. § 18B-1112. Authorization of vendor representative permit. § 18B-1113. Authorization of nonresident malt beverage vendor permit. § 18B-1114. Authorization of nonresident wine vendor permit. § 18B-1114.1. Authorization of winery special event permit. § 18B-1114.2. Effect of cider and vinegar manufacturer permit. § 18B-1114.3. Authorization of wine producer permit. § 18B-1114.4. Viticulture/Enology course authorization. § 18B-1114.5. Authorization of malt beverage special event permit. § 18B-1114.6. Brewing, Distillation, and Fermentation course authorization. § 18B-1114.7. Authorization of spirituous liquor special event permit. § 18B-1116. Exclusive outlets prohibited. § 18B-1117. Repealed by Session Laws 1989, c. 142, s. 3. § 18B-1119. Supplier's financial interest in wholesaler. § 18B-1120. Noncontiguous storage locations. § 18B-1121. Authority to sample for sensory analysis, quality control, or educational purposes. Article 12 - Wine Distribution Agreements. § 18B-1200. Construction; findings and purpose; exceptions. § 18B-1202. No inducement, coercion, or discrimination. § 18B-1203. Primary area of responsibility; no discrimination. § 18B-1205. Notice of intent to terminate. § 18B-1206. Transfer of business. § 18B-1208. Price of product. § 18B-1209. Retaliatory action prohibited. § 18B-1213. Obligations of purchaser. § 18B-1214. Prohibited practices enumerated. § 18B-1215. Intent of nondiscrimination. § 18B-1216. Relation of Article to other laws. §§ 18B-1217 through 18B-1299. Reserved for future codification purposes. Article 13 - Beer Franchise Law. § 18B-1303. Filing of distribution agreement; no discrimination. § 18B-1305. Cause for termination of franchise agreement. § 18B-1306. Remedies for wrongful termination. § 18B-1307. Transfer or merger of wholesaler's business. § 18B-1308. Article part of all franchise agreements. § 18B-1309. Mediation at direction of Alcoholic Beverage Control Commission.